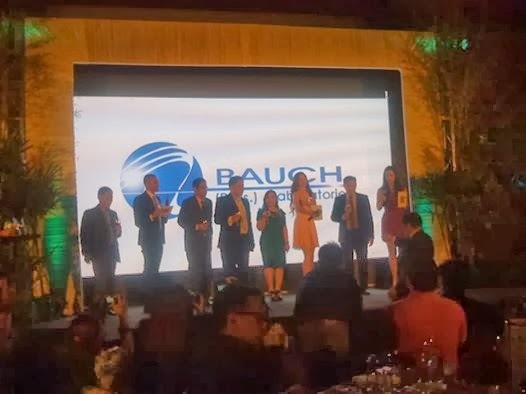 In its commitment to strengthen Philippine pharmaceutical industry, Bauch Phils. 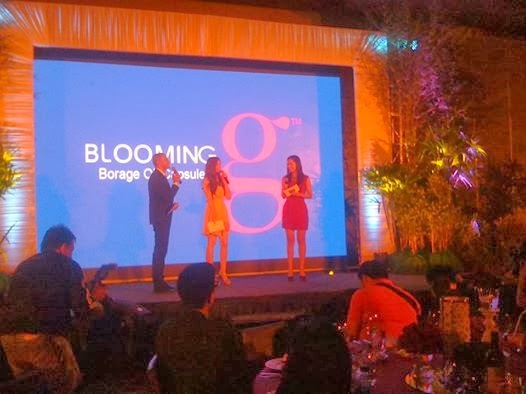 Laboratories Corporation introduced its flagship product, Blooming G in a media launch at the New World Hotel yesterday. Blooming-G is a nutraceutical and organic supplement developed to deliver a host of wellness and beautifying benefits for today’s active women. This organic supplement aim to revitalize the mind and body as it taps the wonders of Borage oil. The said oil is a type of essential fatty acid that contains high amounts of gamma-linolenic acid (GLA), that aids in brain development, in building strong bone structure, and in keeping an active metabolism. Blooming-G does all these on top of protecting skin cells from damage. Blooming-G’s brand endorser, Sunshine Cruz, relates that Blooming-G helps her maintain her skin’s natural glow despite the stressful world of show business and pressing demands of being a mom. She has been using the product since August 2013 and it helps her maintain the physical assets that initially elevated her to stardom: long, vibrant locks, slender figure, flawless skin, sculpted cheeks, and notably radiant skin. Truly, Blooming-G goes beyond the concept of superficial beauty by focusing on overall vitality. “Stress causes unhealthy lifestyle, and it will make you age fast. So I really need something to help me maintain that natural glow, like Blooming-G”, says Sunshine Cruz. 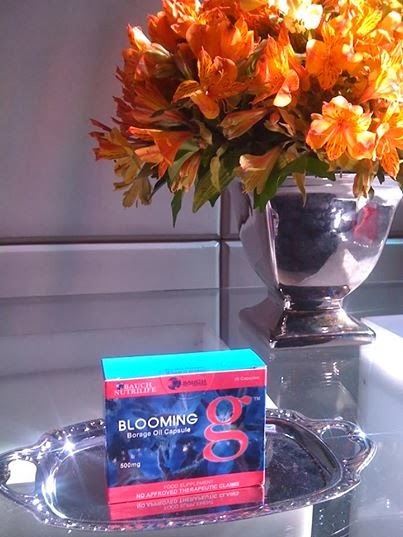 The founder of Bauch Laboratories, Florinda San Antonio, underlines the effects of Blooming-G as she explains, “Blooming-G is developed to help today’s women live happier, more meaningful lives through its health and beauty benefits. When a woman feels good about herself, she gains the confidence to do more and standout. That is our goal--to improve the quality of life through products that are trustworthy”. Bauch Laboratories was established in 2005, under ANFLO Group of Companies. It is primarily engaged in manufacturing ethical, consumer, and nutraceutical products. It utilizes natural substances instead of using chemicals that will further harm the ecosystem Bauch helps today’s active women achieve that healthy glow through the beautifying power of nature.